Welcome to my Indie Life post for August. This is a monthly feature posted on the second Wednesday of the month and hosted by the Indelibles. The aim is to promote, encourage, and support indie authors. When I decided to travel the Indie road, I had pretty much no budget. Sure, I had some money in the bank, but I had never set aside anything to fund my publishing, and I still haven’t. I basically do things when the money is there, and when it isn’t, I wait until it is. I’m quite lucky really, because I don’t have to pay anything for cover designs and formatting, which means a good chunk of the upfront cost in creating a book is already taken care of. What I do need money for is marketing and advertising, and to date I haven’t spent much, but what I have spent has been (mostly) a worthwhile investment. There are two main services I’ve used since first publishing Fall For Me back in January. If you find a good host, they are worth their weight in gold. My first tour experience was not all that great. I went with a company because they were running a special at the time, and looking back I should have followed my gut and gone with my other (more expensive) choice. The communication was poor, and I ended up doing a hell of a lot of work for not much gain. I did interviews, guest posts, and promo spots, for an entire month. By the end of it, I had a handful of reviews and not many sales. I felt I could have done a better job organising my own tour, but I’d gone with this host to save time and money, which in the end I didn’t. I chalked it up to experience and being a new author, and went on my merry way. Then I wrote Sacrifice and was ready to do it all again. I decided to try a different approach. With Fall For Me I had no pre-marketing before I published. With Sacrifice I did a cover reveal, and then when it was released I went on a double tour with both books, reviews only, for a week. After Sacrifice's first month of publication I had a nice amount of reviews on my Amazon and Goodreads pages, and a whole lot of exposure in the book blogging world for both books. I will always do a cover reveal for my future books. I use Giselle at Xpresso Book Tours. She charges $30 and it is a fantastic opportunity to drum up interest in your next release. I originally shied away from online advertising because it was a little on the pricy side. BookBub was recommended to me by another Indie author who had great success using the service. I ended up biting the bullet and paying for an ad, and it was the best thing I ever did. See this post for more details. It also made it into the top 300 eBooks. Over a week I sold more than 900 copies, and as a result Sacrifice also made it to #24 in Romance>Paranormal>Angels. I know these figures aren’t huge compared to other Indie authors, but to go from almost nothing to that was pure awesome. Now, I’m waiting so I can place another ad with them. I made back the ad fee plus a whole lot more. So, they are the two things I’ve found get the best results when it comes to marketing my books, along with word of mouth from all the awesome people I’ve met along the way. 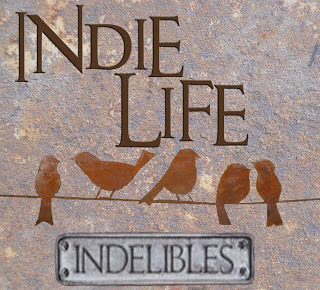 Make sure you check out the other Indie Life posts from the linky below. One of the things I've definitely been thinking about. I'm glad I've been blogging a while and have some strong relationships with great bloggers. But I am behind on planning. Time to pick it up!!! I really need to get my blog onto some sort of schedule. I've been a bit sporadic. I need a plan too! Thanks for stopping by. It's great to hear what works for others. I've considered blog tours and review tours, but haven't gone that route yet. Thanks for the insight! Thanks for stopping by J.R.